1. Mankind's sinful nature: The history of the atheist community and various studies concerning the atheist community point to moral decline being a causal factor for atheism. In addition, there is the historical matter of deceit being used in a major way to propagate atheism from the time of Charles Darwin onward (see: Atheism and deception and Atheism and historical revisionism). Francis Thompson wrote: "Maybe the atheist cannot find God for the same reason a thief cannot find a policeman." Moral depravity is certainly one of the prime causes of atheism. 3. Atheistic upbringing. However, in 2012, a Georgetown University study was published indicating that in the United States only about 30 percent of those who grow up in an atheist household remain atheists as adults. A notable example, of a person raised in an atheistic household who later became a Christian is William J. Murray. Mr. Murray was raised by Madalyn Murray O'Hair who founded the organization American Atheists. In addition, Christianity is experiencing rapid growth in atheistic communist China and has experienced rapid growth in former communist countries. 5. Pride/Rebellion: Atheism stems from a choice to ignore the reality of God's existence. The atheist Friedrich Nietzsche wrote: "But now God is dead. You superior men, this God was your greatest danger. Only since he is in the grave, have you risen again. Only now comes the great noontide; only now the superior man will be – Lord!". Atheists have also given themselves pretentious monikers such as freethinker and rationalist (see also: Atheists and pretentious monikers). In the United States, the ages 14–17 are very influential in terms of an individual adopting atheism. Of those who do embrace unbelief in the United States, many do so in their high school years. Vox Day writes about immaturity being a causal factor for atheism: "the age at which most people become atheists indicates that it is almost never an intellectual decision, but an emotional one. (This is why most self-identified atheists are angry, bitter, and immature. The anger, bitterness, and immaturity are usually the cause of the atheism, they are not, as many Christians erroneously suppose, the effects). The infamous pornographers Hugh Hefner and Larry Flynt are both atheists. Engaging in overseas evangelism/outreaches in poor countries often requires significant hardships/persecution and western atheists by in large have been unwilling to endure such hardships in order to spread atheistic ideology - especially when compared to Christianity (see: Western atheists have not done a significant amount of outreach to poor countries). 12. Superficiality: Noted ex-atheist and psychologist Dr. Paul Vitz has stated that he had superficial reasons for becoming an atheist such as the desire to be accepted by his Stanford University professors who were united in disbelief regarding God. 14. State churches: In regards to the causes of atheism, rates of atheism are much higher in countries with a state sanctioned religion (such as many European countries), and lower in states without a sanctioned religion (such as the United States). Some argue this is because state churches become bloated, corrupt, and/or out of touch with the religious intuitions of the population, while churches independent of the state are leaner and more adaptable. It is important to distinguish "state-sanctioned churches," where participation is voluntary, from "state-mandated churches" (such as Saudi Arabia) with much lower atheism rates because publicly admitted atheism is punishable by death. 15. Decline of family in a culture - Mary Eberstadt, a research fellow at Stanford University’s Hoover Institution, found the decline of family values leads to a rise in secularization. According to the University of Cambridge, historically, the "most notable spread of atheism was achieved through the success of the 1917 Russian Revolution, which brought the Marxist-Leninists to power." Vitalij Lazarʹevič Ginzburg, a Soviet physicist, wrote that the "Bolshevik communists were not merely atheists but, according to Lenin's terminology, militant atheists." However, prior to this, the Reign of Terror of the French Revolution established an atheist state, with the official ideology being the Cult of Reason; during this time thousands of believers were suppressed and executed by the guillotine. The atheism in communist regimes has been and continues to be militant atheism and various acts of repression including the razing of thousands of religious buildings and the killing, imprisoning, and oppression of religious leaders and believers. 17. Simplistic view of science combined with secular leftist utopianism. 21. Division in religion: According to Sir Francis Bacon, atheism is caused by "divisions in religion, if they be many; for any one main division addeth zeal to both sides, but many divisions introduce atheism." C. S. Lewis, photographed in 1947. Individuals such as Calvin Smith of Creation Ministries International have reported leaving atheism after finding out the falsehood of evolutionary pseudoscience and the evidence for biblical creation. In addition, Jewish columnist Dennis Prager has stated that a causal factor of atheism is the "secular indoctrination of a generation." Prager stated that "From elementary school through graduate school, only one way of looking at the world – the secular – is presented. The typical individual in the Western world receives as secular an indoctrination as the typical European received a religious one in the Middle Ages." In 2013, an study found that academia was less likely to hire evangelical Christians due to discriminatory attitudes. Atheists have focused considerable efforts on the public schools in order to indoctrinate young people into atheistic beliefs. In addition, in communist countries (such as the former Soviet Union) atheistic indoctrination occurred in the educational system through such venues as schools, atheist museums, and clubs. Atheists and secularists rarely point out that universities such as Harvard, Princeton, Oxford, Cambridge, and many others were founded by Christians. See also: Does atheism thrive on economic prosperity and religion prosper when people are desperate and ignorant? 30. In cultures not receptive to atheism, atheists appear to be more likely to be social outcasts (see: Atheism and social outcasts). In short, in certain cases, namely where atheists are already social outcasts, they have less negative social consequences by becoming atheists. According to an international study done by William Bainbridge, atheism is common among people whose interpersonal social obligations are weak and is also connected to lower fertility rates in advanced industrial nations (See also: Atheism and fertility rates). 32. Denialism (See: Atheists and the fallacy of exclusion and Atheism and historical revisionism). 33. Atheists often have a poor understanding of the various types of evidence to determine the validity of various matters and how to weigh evidence (see: Atheism and evidence). 34. Nick Spencer, author of Atheists: The Origin of the Species, wrote: "modern atheism was primarily a political and social cause, its development in Europe having rather more to do with the (ab)use of theologically legitimized political authority than it does with developments in science or philosophy". Plutarch's bust at Chaeronea (his home town). “ Light pollution is the cause of the increase in atheism. This is my conclusion after spending some time this summer at cottages and cabins far from city lights. The sight of the Milky Way and all the stars around, filling the sky with daubs of light, filled my heart with wonder – as they would anyone. That kind of wonder has often been expressed in religious feelings and prayers. The Bible tells us that in ancient times the stars themselves were worshipped. In Judaism, the common term for idolaters is ovdei kokhavim, “worshippers of the stars.” Even in Jewish tradition, the stars are seen as alive – as the bodies of angels. Of course, it is possible to think of the stars strictly in accordance with modern science, and still be overwhelmed with awe and delight on seeing them. A troubled/non-existent relationship with a father is theorized to influence a person to become an atheist. The Daily Mail reported that a study conducted by Public Religion Research Institute in partnership with the Religion News Service found that "children raised by divorced parents are more likely than children whose parents are married to be non-religious as adults." Dr. Paul Vitz wrote a book entitled Faith of the Fatherless in which he points out that after studying the lives of more than a dozen leading atheists he found that a large majority of them had a father who was present but weak, present but abusive, or absent. Dr. Vitz also examined the lives of prominent theists who were contemporaneous to their atheist counterparts and from the same culture and in every instance these prominent theists had a good relationship with his father. Dr. Vitz has also stated other common factors he observed in the leading atheists he profiled: they were all intelligent and arrogant. Vitz argues that the defective/absent father theory as a cause of atheism best fits cases where people are militant/intense atheists and that his theory applies in at least 50% of these instances (Vitz does believe in free will and therefore a person with a defective father is not necessarily going to become an atheist). The General Social Survey (GSS) data on atheism uses a broad definition of atheism which can include agnostics. As far as Pasquale's study and his conclusions, as noted above, Vitz indicates that his defective/absent father theory best fits intense atheists and that his theory is not universally applicable to all atheists. A common errant notions among atheists is the mistaken belief that atheism is the result of higher intelligence. This belief often the result of excessive pride, the foolish nature of atheists and self-deception. For more information, please see: Atheism and intelligence. Also, due the lack of evidence for atheism and the great amount of evidence for Christianity, atheism is not a respectable intellectual position. For example, God's creation plainly points to the existence of God  (see also: Atheism and its retention rate in individuals). Brain researchers and social scientists have conducted a number of studies focusing on the differences between atheist/theists within Western World countries (See: Atheism and the brain). Nevertheless, the decision to follow God is ultimately a moral/spiritual concern. Atheism is in decline worldwide, with the number of atheists falling from 4.5% of the world's population in 1970 to 2.0% in 2010 and projected to drop to 1.8% by 2020. On December 23, 2012, Professor Eric Kaufmann who teaches at Birbeck College, University of London wrote: "I argue that 97% of the world's population growth is taking place in the developing world, where 95% of people are religious". There are a number of factors which impede the spread of atheism and are causing a global resurgence of religion (see: Causes of desecularization). Why is evolution pushed by dogmatic evolutionists? Does atheism thrive on economic prosperity and religion prosper when people are desperate and ignorant? 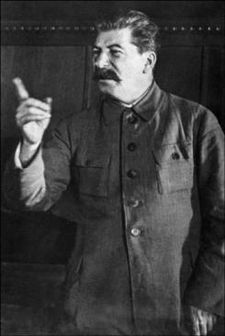 ↑ Was Stalin an atheist? Is atheism or communism responsible for mass murders? The Real Murderers: Atheism or Christianity? Religious faith and charitable giving, Policy Review , Oct-Dec 2003, p.2. ↑ Christopher Hitchens: Staring Death in the Face And the difference that Biblical Creation makes! ↑ Why do atheists hate God? ↑ "A young man who wishes to remain a sound Atheist cannot be too careful of his reading. There are traps everywhere--'Bibles laid open, millions of surprises,' as Herbert says, 'fine nets and stratagems.' God is, if I may say it, very unscrupulous." -- C.S. Lewis, Surprised by Joy. ↑ Does atheism thrive on economic prosperity? Does religion prosper when people are desperate and ignorant? ↑ Bainbridge, William (2005). "Atheism" (PDF). Interdisciplinary Journal of Research on Religion. 1 (Article 2): 1–26. ↑ Vitz, Paul, The Psychology of Atheism, September 24, 1997 (lecture notes taken by an audience member). ↑ 96.0 96.1 McGrath, Alister (February 28, 2005). "The twilight of atheism". Christianity Today website. Retrieved on May 23, 2015. This page was last modified on 9 April 2019, at 01:27. This page has been accessed 151,221 times.